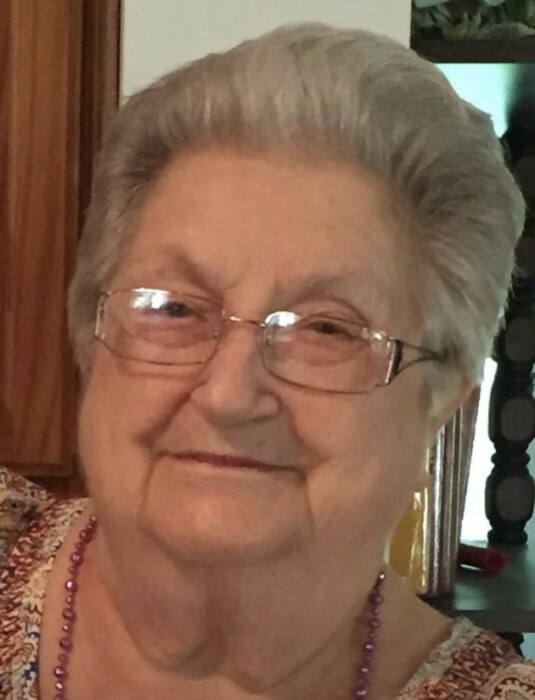 Diane Joy Norton, age 82, of French Lick, Indiana entered into eternal rest on March 20th, 2019 at Jasper Memorial Hospital in Jasper, Indiana. She was born in Chicago, Illinois on May 25th, 1936 to Charles R. Kirkland Sr. and Jessie Pauline (Crowder) Kirkland. Diane married Glen Lee “Batman” Norton, Sr. on December 9th, 1954 and he preceded her in death on November 1st, 2006. She was also preceded in death by her parents, (1) Brother – Charles R. Kirkland, Jr., (1) Sister- Jody Hawkins, (1) Granddaughter- Marrisa Ham, and (1) Great-Granddaughter- Victoria Elizabeth Larimer. Diane had many career paths in her life time, she helped run a dry-cleaning service for Rud and Freida Bledsoe, worked in a clothing store in the French Lick Hotel and for Parke Flick at his clothing store. Upon leaving Parke’s clothing store, she started her journey to becoming a pharmacy technician first working for Bob Deremiah, then helping to get the Hooks Drug Store up and running in French Lick. Her final position was at the Williams Brothers Pharmacy Clinic in Paoli, Indiana which she left to take care of her husband until his passing. She was a member of the Old E.U.B Church in French Lick, was a former Band Booster President in the 1970’s, and a French Lick High School graduate from the Class of 1954. The Funeral Ceremony will be conducted by Rev. Ashley Clarke at 1:00 p.m. on Sunday, March 24th, 2019 at Brosmer-Kemple Funeral Home in French Lick, Indiana. Burial will follow in Mount Lebanon Cemetery in French Lick, Indiana. Friends may call from 4:00-8:00 p.m. on Saturday here at the funeral home and from 11:00 a.m. until the time of service on Sunday. In lieu of flowers the family requests donations be made to Charlie's Angels, c/o Cathy Chaplin, 4380 S. Old State Road 145, French Lick, Indiana 47432. Arrangements are in the care of Brosmer-Kemple Funeral Service, 9640 W. State Rd. 56 French Lick, IN, 47432. Condolences may be made on our Facebook page at Brosmer-Kemple Funeral Home or at our website – www.brosmer-kemplefuneralhome.com.